These are visually stunning mushrooms and almost as good gastronomically, made all the more special by their relative scarcity – I seldom find more than a handful a year. You don’t need to find many though – they can grow very large. 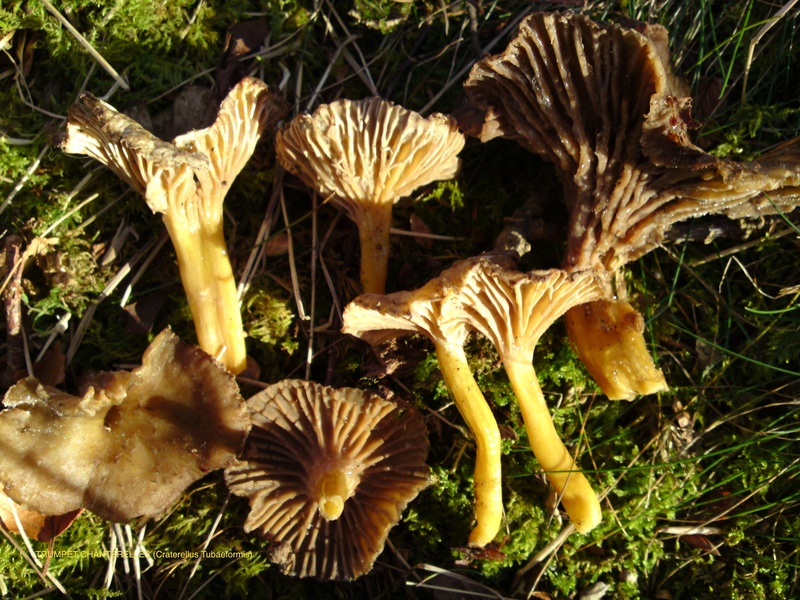 Winter Chanterelle – Edibility, identification, distribution. 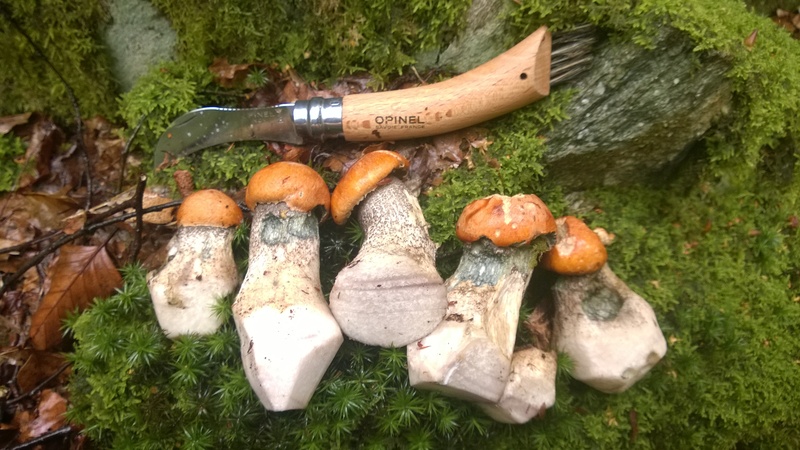 Cep – Identification, distribution, edibility. The cep is the king of edible mushrooms. 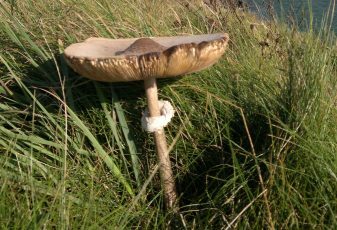 No food, fungal or otherwise, comes near it for flavour and texture and when you find a firm young penny bun, or ‘bouchon’ cep as the French call it after champagne corks, there is an irresistable fairytale beauty to them which is both beautiful and seductive. 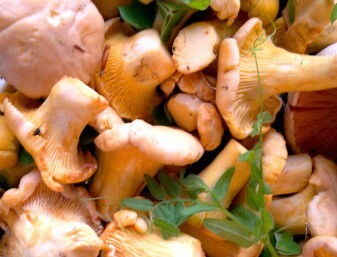 Chanterelle – Identification, distribution & edibility. It can feel like finding the mythical pot of gold at the end of a rainbow when you come across a cluster of these beautiful mushrooms on a shady woodland floor. They are the most widely commercially harvested wild fungi in Scotland, loving our damp, mild climate and extensive birch and beech woodlands and are highly esteemed by chefs.